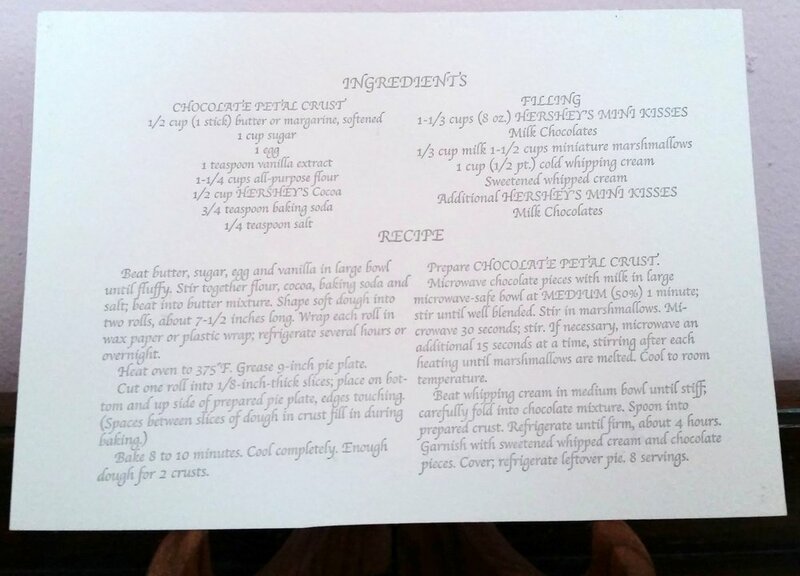 Also printed in gold metallic ink -- photos to be added later. 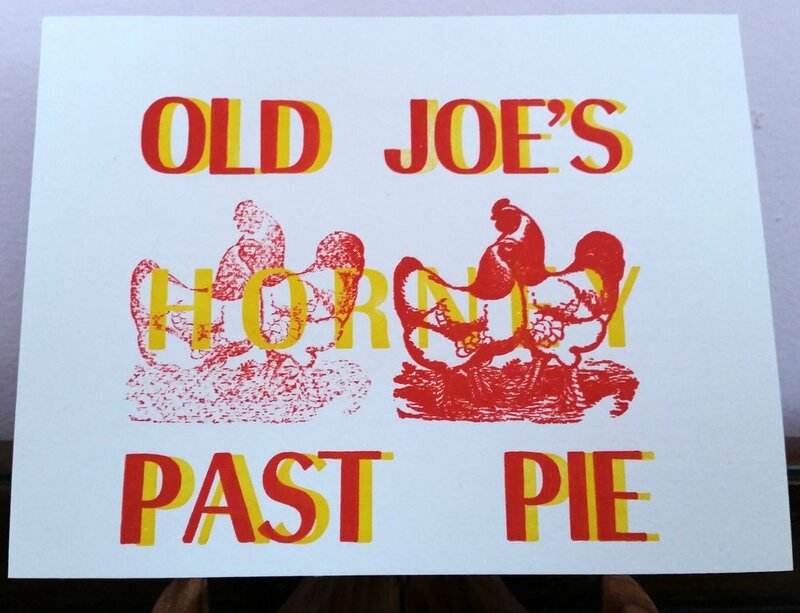 This print series is based on pie recipes from the movie Waitress. The series functions as a way to look at both, the tradition of women passing on their recipes to the next generation along, with the potential of histories of domestic and relationship violence. 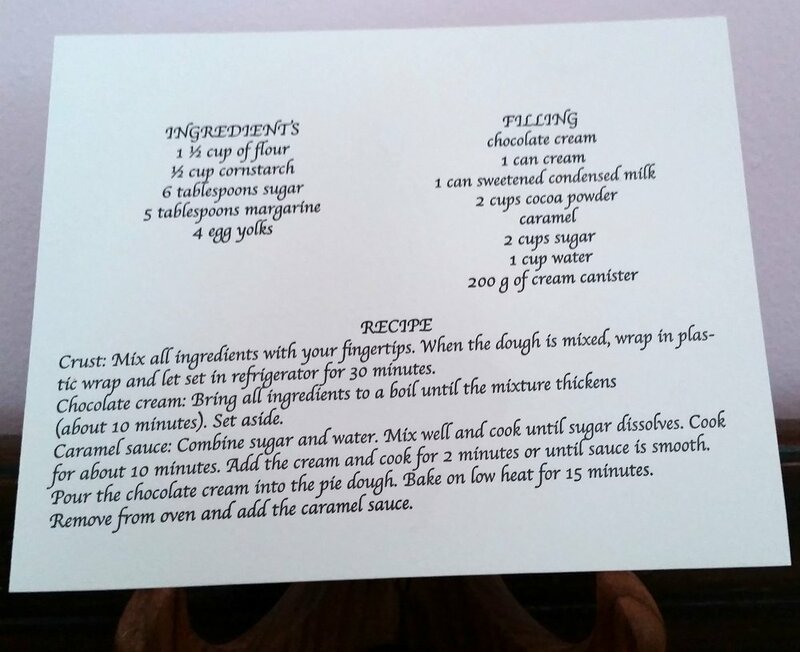 All these prints are meant to be used as functional recipe cards. 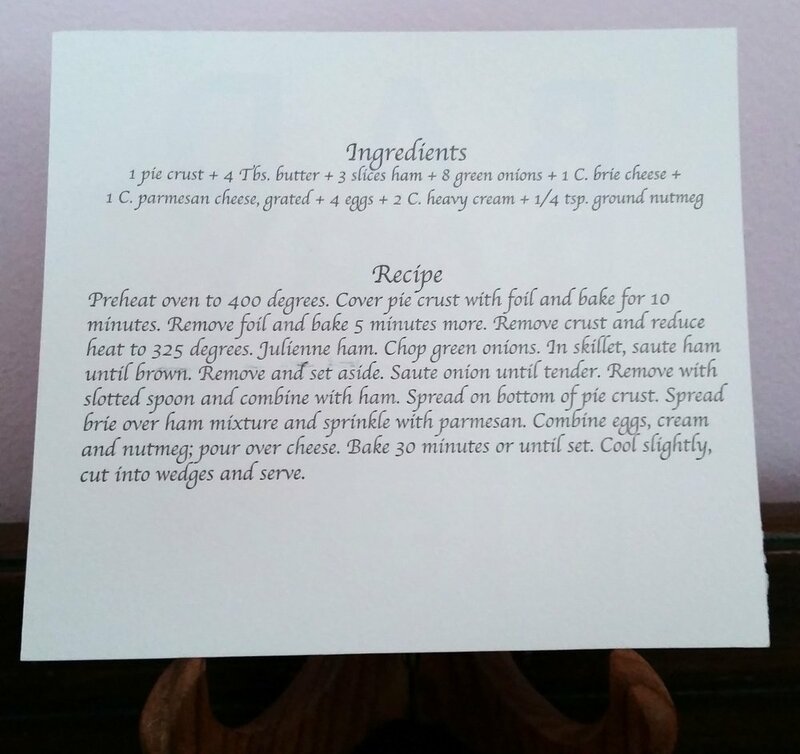 The front design of each print is hand set using type and other blocks. 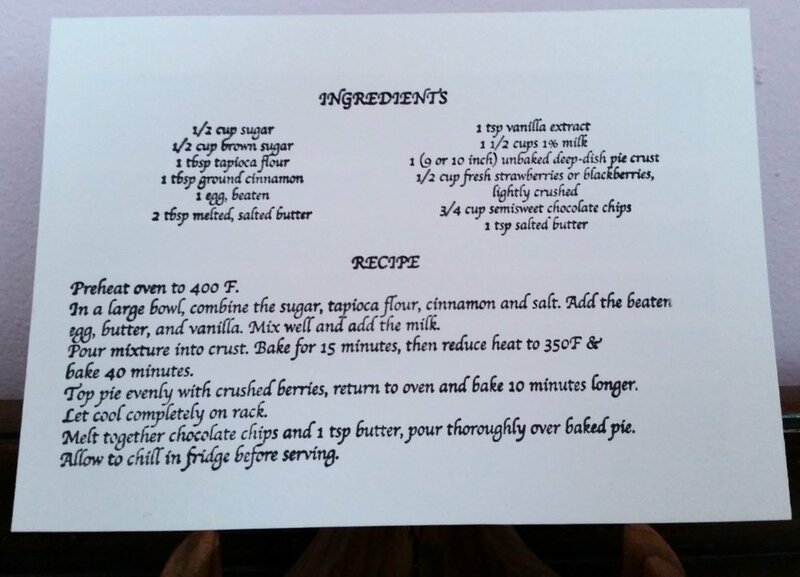 The back designs with the recipes are printed from polymer plates using the Apple Chancery font, a nod to the baking theme. 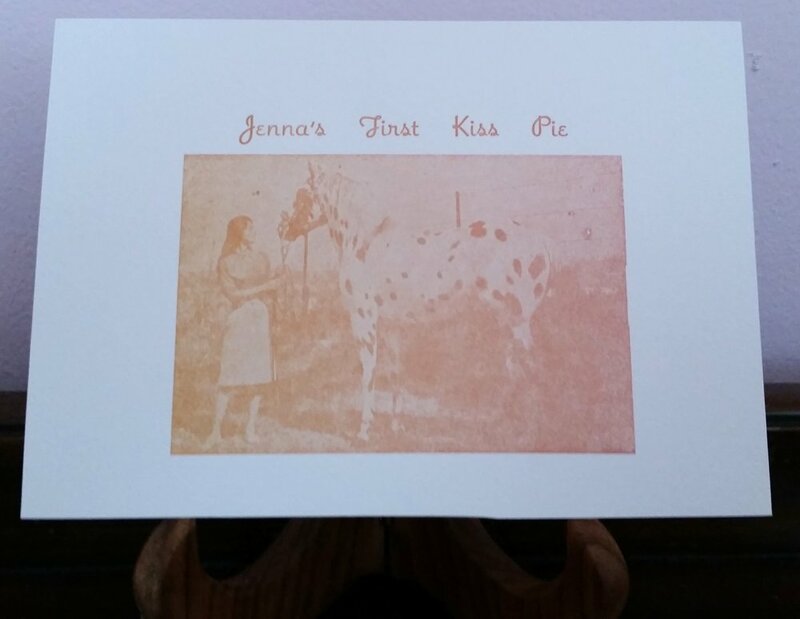 The print “Jenna’s First Kiss Pie” is a kiss impression. Other techniques used in this series include split fountain and layering.